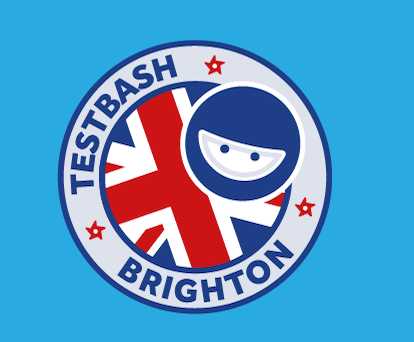 I’m writing this at Agile Testing Days, which is always a great experience. Unfortunately the experience could be even better, courtesy of Lufthansa, and one of their often happening strikes. I was supposed to fly Monday morning, and the afternoon before I got notification about the cancellation. I wasn’t too surprised, because the news of the strike started on Friday. But I had to drop everything and get to the help desk to get re-booked. I got to Germany half a day later than planned. That didn’t end there. Because the day before my return that happened again. And I wasn’t surprised, but it messed up the experience. I’ve spent the entire morning of Day 3 alone with the Lufthansa “Get ready for a new travel experience” jingle as background music. Lufthansa has a big management problem, that I wish I could help with. But I want to talk about failure demand, which the company experiences. There are two types of demand. There first kind is value demand. This is where your product or service is good, so the demand of the market grows – more customers, more new features. This is the good kind of demand, that will eventually brings more money. Then there’s failure demand. This is where your product or service is bad and creates problems to the customers. So they dial in to ask for support. And you have to increase your support force, which is costly, and doesn’t bring any money. On the other side, you have customers that get upset and will fire you as a provider, and you will lost money on that as well. Here’s my experience. When the flight got canceled I got a text message, with a link to the site of where I can check for alternatives. The link is basically a page with ways to access support (which I’m in dire need of). So there’s a list of phone numbers I can try, but no other method to access them. That, of course, funnels everything to a local or international help desk. Those in turn, have a certain capacity, so lots of people are waiting in line to get to the poor support people. As they wait (a long time) and don’t get an indication where they are in line (or if they get in at all) they get annoyed. Verily. So they go on Twitter and Facebook and complain. Some write blog posts. Then other people hear and decide they don’t want to go with Lufthansa anymore. There’s a whole operation behind the scenes of re-booking on other companies, which costs a lot. So Lufthansa now needs to invest more in marketing, internal contracts, external contracts, even raise prices to try and keep the company going. None of this brings more money, but costs a lot. 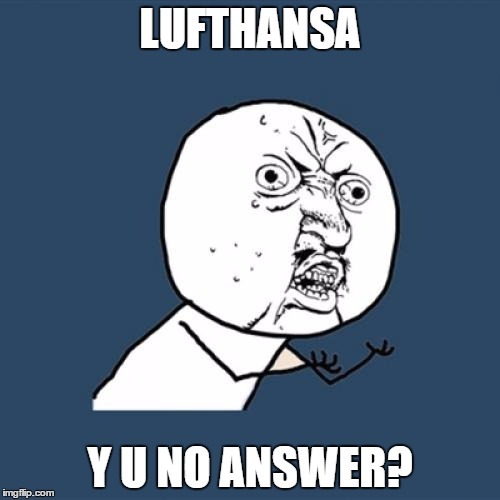 Lufthansa has lost me as a customer, until they prove they can be trusted again. I’m pretty sure they know how much all this is costing them. I hope they do. Companies should be aware of how much bad service costs in more work, which is costly, does not gives value, and loses in opportunity costs. Not to mention trust.